This exclusive apartment complex, situated right on the first line of the beach, as close to the ocean as it is only possible! A special place where the privacy of the environment, the nature and above all, make of this project a unique, one of a kind place. This 2 bed/ 3bath fully high end furniture condo is a true oasis of luxury and tranquility. There is a large master bedroom suite with a king size bed and en-suite bathroom with modern Italian fittings it also has a large walk in wardrobe. The second bedroom has two queen size beds with a en-suite bathroom with Italian fittings again with a large walk in wardrobe. The living area is open plan with both lounge and dining areas with ample space that open out onto the terrace. The fully fitted Italian style kitchen has lots of cabinet space both above and under the granite counters and splash backs. This immaculate apartment is located along one of the best beaches in Las Terrenas, with clear turquoise waters fringed with palms. 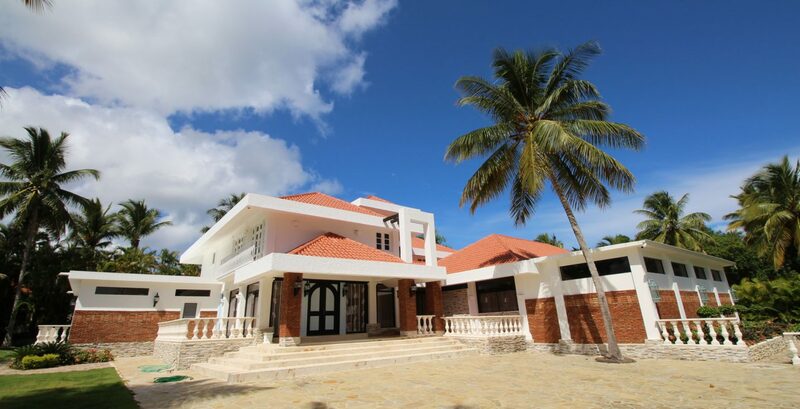 The location is both popular with tourists and residents having two of the most prestige multi-million dollar developments close by, this is the place to own property. 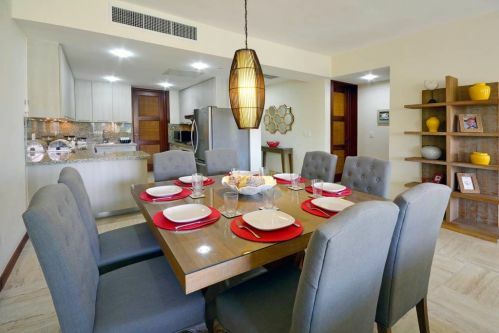 The Dominican Republic El Portillo Beachfront Apartment for Rent sit within a upscale development of apartments with beautiful landscaped gardens with small lakes and a running stream.